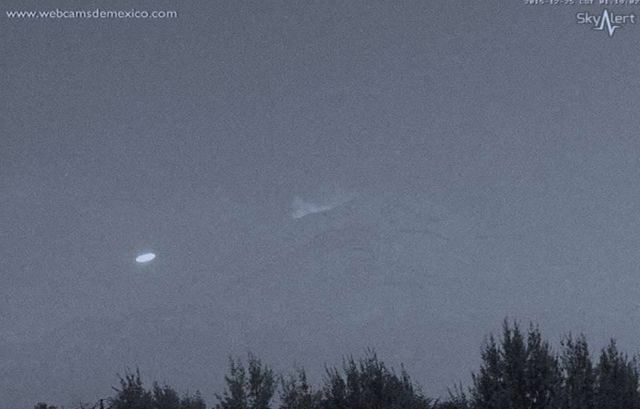 In a new video, a UFO seems to approach Mexico's Popocatepetl volcano. The webcam footage captured on December 25, 2015 shows an unknown white object rises up in front of the Volcano in Mexico and continues its path until it disappears. The volcano known for its many UFO Sightings is located 40-some miles from Mexico City and is the second-highest peak in the country.